Now if you’ve been following me for awhile, you’re probably aware that I’m a sponsor of LuAnn Live. I’ve been working tirelessly and diligently in preparation, and it’s literally been a whole family effort. Thank you family! And this weekend, it’s finally happening! 2 1/2 days full of amazing interior designers, business coaches and consultants, LuAnn herself, and more. If you’re going, be sure to stop by my table and introduce yourself. I would love to meet you in person, and I have lots of tasty treats to give! And if you’re not able to go, no worries. Next week’s post I’ll be sharing all of the information I learned from such an incredible group of people. Now let’s get on with this week’s post! 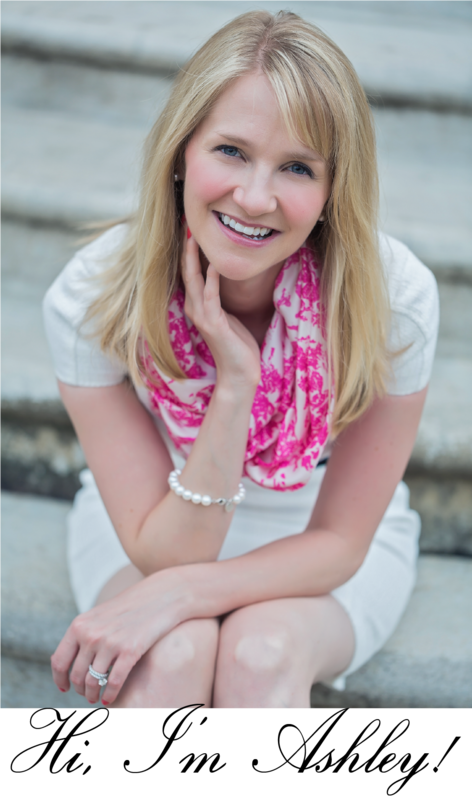 Is Client Service about Hospitality or Elitism? If you’ve ever walked into a high end business, there’s always a bit of an air about it. It feels high end. Luxurious. Special. Everything about it. The employees. The location. The other customers. The lighting. Everything. Every singe detail has been considered to create a true experience. But there’s also an atmosphere that relays something else. A feeling. A feeling of – hospitality. Or, elitism. You know what I’m talking about. The one place you walk in and feel, ooh, this is going to be fun! They’re going to treat me with such kindness, care, and attention that I won’t ever want to leave! Or, yikes, I better be on my best behavior or they’re likely to kick me out! The first, hospitality, is about making every single person that walks into that business feel welcome. Because the business doesn’t judge. They don’t assume you can or can’t pay. Or that you should or shouldn’t be allowed into their establishment. They don’t treat you like Julia Roberts in Pretty Woman. Their mission is to truly serve their clients. With all their heart. Because they want to. And because they want their clients to feel cared for. It’s an open arms kind of policy. And one that doesn’t waver from one person to the next. It’s consistent for every single person that walks into that door. The second is, elitist. It’s about making sure you’re good enough. It’s about making sure you fit into their society. That you’ve been hand selected, have passed a series of tests, and now that you have, you have been welcomed. It’s a gated community. Sometimes literally. All are not welcome. In fact, most are not. But even once you’ve been allowed in, you better follow a series of rules. As acting outside of those rules, can cause you to have your membership card taken away. Figuratively speaking or in actuality. Delivering a high end service experience is never about being elitist. Whether you are working on a 10 bedroom home, or 2 bedroom home, delivering a high end client experience is about showing your clients how much you care. High end doesn’t mean stuffy or elitist. It means, really, really, really caring for your clients. In an incredible way. In a way that goes above and beyond. In a way where you are consistently looking at how you would feel if you were in your customer’s shoes. And what you could do to make things easier for them, more enjoyable, or personalized. Even if it means you have to do a bit more work. Or spend a bit more time. Service is about well, serving. It’s about doing your best and utmost to serve your clients to the best of your ability. And creating an experience with your service means planning out what that service will look like from beginning to end. As you understand how systems and processes are both part of your service, and your experience. 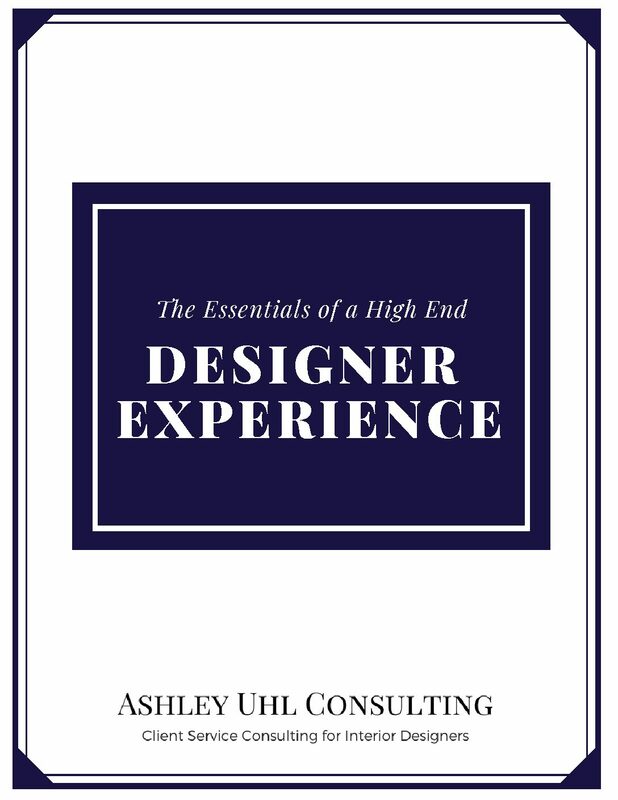 So as you’re working on deciphering what a high end experience is and what great service looks like, and how your design firm could or would deliver it. Don’t worry that delivering high end service means that your business has to be stuffy or unapproachable. Or that it can’t be fun and have a bit of personality. That you can’t have a real connection and relationship with your clients. It’s actually the opposite. A true five star establishment is one where highly trained people are serving people as they connect with them, to the absolute best of their ability. And there are loads of high end businesses that do exactly that. They charge premium prices, but focus on establishing a true relationship with their clients as they welcome them and show them true hospitality. The Four Seasons Hotel is a great example. Every Four Seasons Hotel I’ve ever visited is all about extremely well trained employees going above and beyond to serve their clients well, because they truly care. It’s never fake. It’s never pretentious. And it never feels cheesy or too much. It just feels like genuine care and concern. (And not surprisingly, the Four Season’s entire business model revolves around the Golden Rule, treating others as they want to be treated. A business’s client service and client experience culture is always set from the top.) Their service is about serving. Not about pomp and circumstance. An experience is about feeling part of something. That this business took the time, care, and commitment, to learn about who you are as a person, what makes your life difficult, what things you enjoy, and turned it into an environment to welcome you. Creating that kind of service experience isn’t always easy, and certainly can’t be created over night. But it’s extremely important. Because your business can not only be known for creating beautiful designs, but also creating welcoming experiences. Your business can start to represent the best of society. It can start to represent the type of service that we only wish was available everywhere. From everyone. And it can start with you.